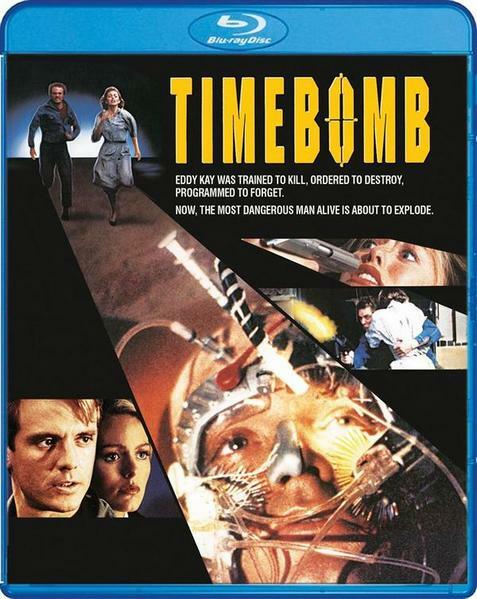 90s Sci-Fi fans take note: A ticking TIMEBOMB is coming to Blu-ray this Summer! Michael Biehn (The Terminator, Aliens) and Patsy Kensit (Lethal Weapon 2, Absolute Beginners) star in the pulse-pounding action thriller, Timebomb. When unassuming watchmaker Eddy Kay (Biehn) finds himself the prey in a deadly game of cat-and-mouse, it triggers a series of disturbing flashbacks ... to a past he does not remember. Seeking help from the beautiful psychiatrist Dr. Anna Nolmar (Kensit), Eddy uncovers the shocking truth about his true nature: he is the product of a shadowy government plot to create and program assassins. Shattered by this explosive revelation, the normally reserved Eddy leaps into action to shut down the assassination program before it's too late. The odds seem insurmountable ... but his adversaries quickly learn that nothing can stop Eddy Kay when he gets tick ... tick ... ticked off. If you’ve been enjoying some of our recent releases from the 50s (I Bury the Living, The Screaming Skull, etc.) 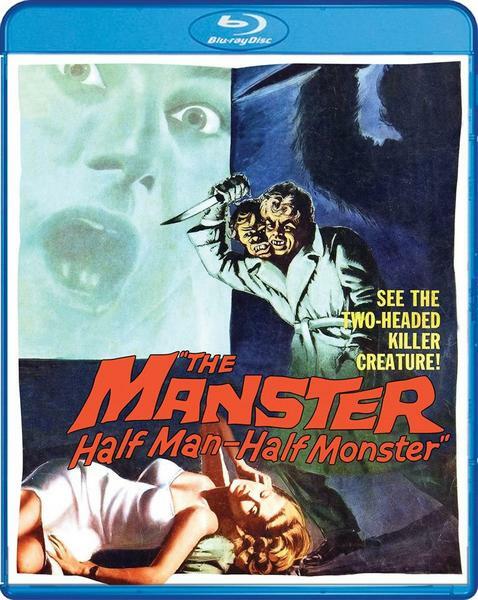 then we have another fun one for you: THE MANSTER! American reporter Larry Stanford is assigned to a story on evolutionary theorist Dr. Suzuki and visits his secluded laboratory high in the mountains for Japan. Unwittingly injected with an experimental drug, Stanford becomes increasingly bitter and irritable towards his boss and his wife. Then one day, the appearance of a third eye on his shoulder hurls the reporter into a state of terror. The eye soon develops into a second head setting in motion a rampage of mayhem, madness and murder! We are now taking pre-orders for our upcoming release of the wild (even by Empire Pictures standards) 1986 sci-fi film VICIOUS LIPS which makes its Blu-ray format debut in the U.S. & Canada! Release date is planned for August 29th. When Vicious Lips bandmates Bree (Gina Calabrese), Mandoa (Shayne Farris), and Wynzi (Linda Kerridge, Fade To Black) get their one shot to make it as the galaxy's next big thing, they're over the moon with excitement. But their hopes soon come crashing back to earth: their lead singer Ace dies, and their big gig in the sky seems light years away! Hastily signing up the wide-eyed Judy Jetson (Dru-Anne Perry) to replace their Ace, the Lips blast off on a cosmic road trip to launch their meteoric rise to superstardom. Written and directed by Albert Pyun (The Sword And The Sorcerer, Captain America), Vicious Lips takes you on a wildly unique trip to some of the strangest rocks in the universe. We end the week on a howling good note by providing some early details on two previously-announced horror-comedy favorites! - Both Blu-ray releases will be branded as "Collector's Editions" that will come with a slipcover (guaranteed for three months after its original release date). - The newly-commissioned artwork pictured on both (which purposely complement each other) comes to us from artist Paul Shipper (Escape from New York, The Thing). The reverse side of the wraps will showcase the original theatrical poster art designs. - Bonus features and specs are still in progress and will be announced sometime in June. We can confirm though that we will be doing a new film transfer on the first film! - Pre-order now directly from our website which includes shipping two weeks early plus a free collectible 18” x 24” rolled poster of the newly-designed key art (while supplies last)! From the director of Chained Heat and sports an all-new HD film transfer plus the original theatrical trailer. Car Wash is out June 20 and it's coming with some brand new bonus features! See below for final list of features. This August, Shout Select presents Whale Rider (15th Anniversary Edition) on DVD and Blu-ray. Stay tuned for a bonus features announcement in the coming months. The extras on our upcoming Collector’s Edition 2-Disc Blu-ray release are now finalized! We just announced four new upcoming titles on the Shockwaves podcast (which you can listen to and hear a lot more Scream Factory scoop @ http://www.blumhouse.com/podcast/ ). Here’s are the early details! The Resurrected ser jeg MEGET frem til at kunne gense i HD! • Audio Commentary with director Roger Donaldson, make-up effects creator Steve Johnson, visual effects supervisor Richard Edlund and producer Frank Mancuso Jr.
Tillader mig lige at gå lidt off topic. Jeg har for nylig modtaget Sleepaway Camp og Escape from New York uden slipcovers - resten af samlingen har alle, så det irriterer mig lidt. Er der nogen herinde der er villige til at sælge/bytte disse to? Jeg forstår så ikke lige Scream Factorys valg... men her er den. We’ll thrilled to add another George A Romero film to our sinister roster this year in the form of LAND OF THE DEAD! - The newly-commissioned front-facing artwork you see pictured comes to us from The CRP Group (Rabid, Firestarter, Serial Mom). The reverse side of the wrap will showcase the original theatrical poster art design. 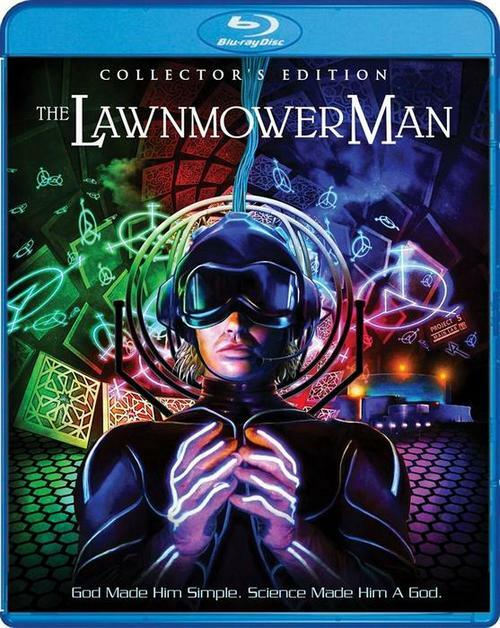 - Bonus features & specs are still in progress and will be announced sometime in Sept but we can confirm that this will be a 2-disc set and will include new extras plus the theatrical and unrated versions of the film. - Official street date is 10/24/17. 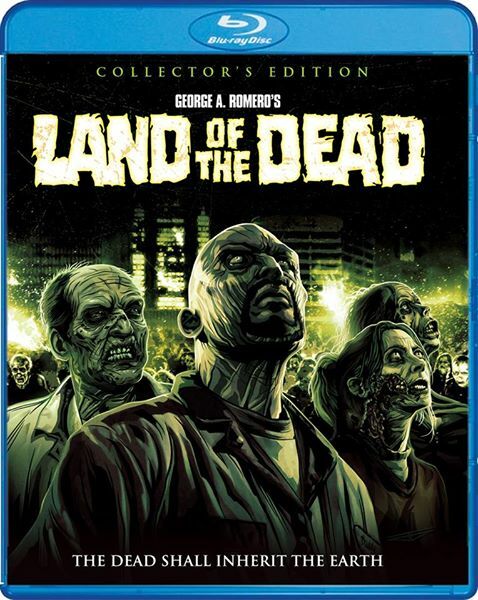 However, if you pre-order now directly from our website @ https://www.shoutfactory.com/…/land-of-the-dead-collector-s… you’ll get it two weeks earlier plus you’ll received a free 18” x 24” rolled poster of the newly-designed key art (while supplies last)!